If contract holders already were 30 days behind on their installment payment when Halloween arrived, they now might be up for repossession, especially in the 20 states that Experian identified as having a 30-day delinquency rate above 2 percent at the end of the third quarter. According to Experian’s State of the Automotive Finance Market report, the overall 30-day delinquency rate improved year-over-year in Q3, ticking 16 basis points lower to 2.23 percent. 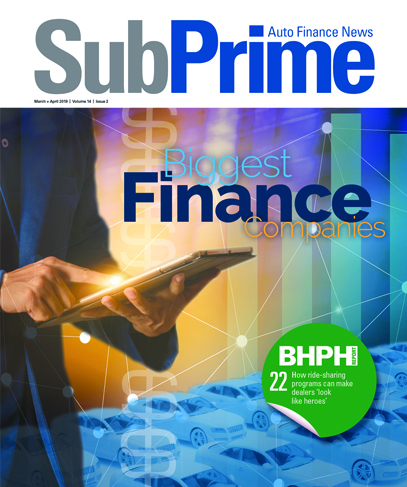 What Experian classifies as finance companies — institutions that typically do not hold consumer deposits and oftentimes cater to subprime customers — finished Q3 with a much higher 30-day delinquency rate than the average. For finance companies, the rate stood at 3.95 percent. Among those 20 states with 30-day delinquency rates above 2 percent, Experian showed how the swath stretched from New York (2.34 percent) down the Eastern Seaboard to Florida (2.61 percent) and westward to Nevada (2.31 percent). The latest data indicated state with the highest rates included Mississippi (4.11 percent), Maryland (4.03 percent) and Louisiana (3.5 percent). On the opposite end of the spectrum, Experian reported that Washington and Oregon tied for the lowest Q3 30-day delinquency rate at 1.20 percent.